I finally move off Daleks into something which isn't all linear. 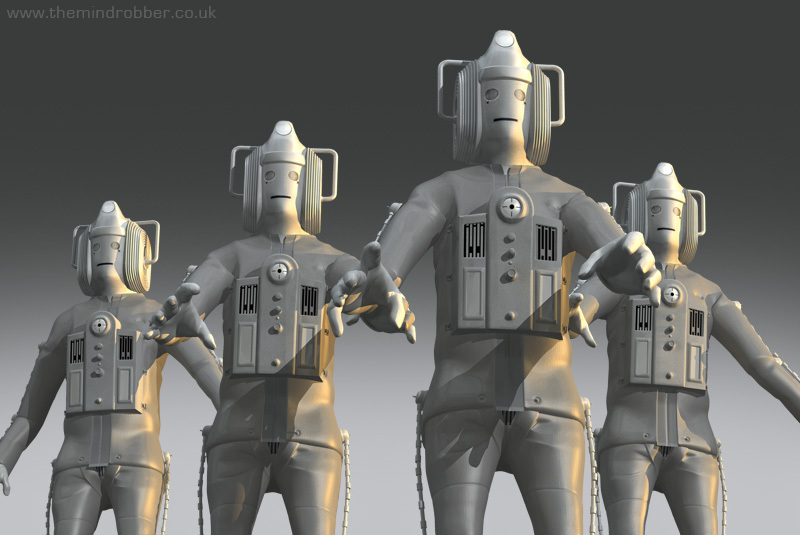 Here are some renders of the Malevilus created for Vworp, Vworp magazing, plus Cybermen and Ice Warriors for the sheer thrill of men in monster suits. 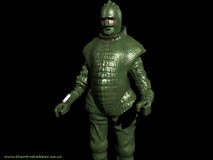 Invasion Cyberman, Ice Warrior, Kroton and More! For the DVD release of The Krotons (and its promo in DWM) I supplied a gloriously shiny render. 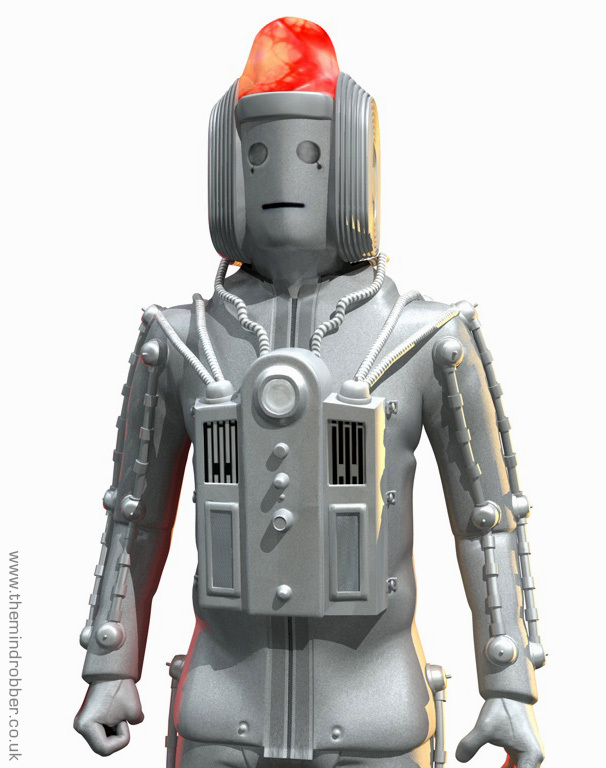 Part of the idea of the cover was to give a little nod to the Andrew Skilleter painting on the Target book with its uber gleaming monster and hexagon background so there's a degree of artificiality intended in the level of reflectivity. 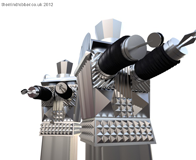 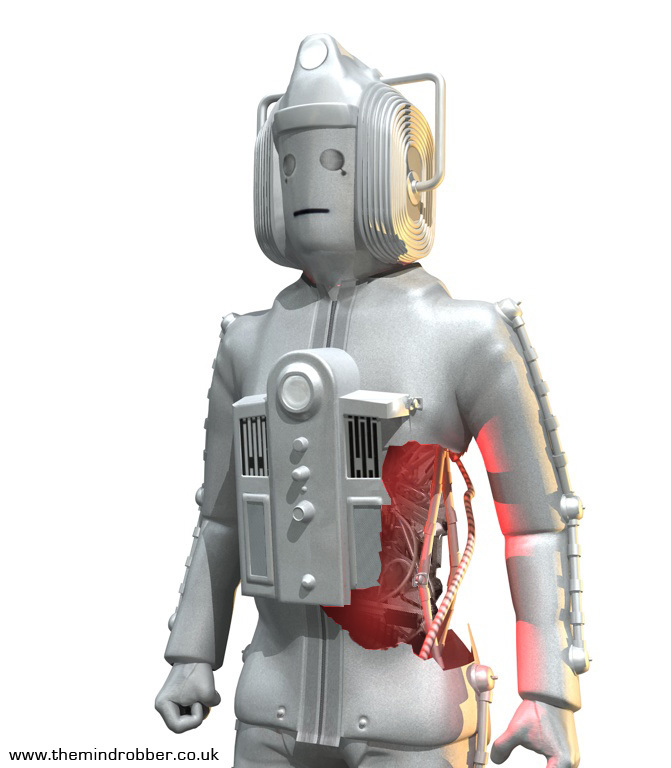 Below is a Cyberman created for promotional artwork for a Big Finish audio. 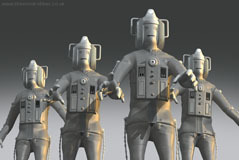 It also required the creation of an Invasion style Cyber-controller. 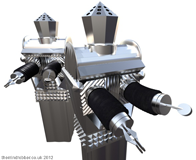 To create more organic shapes I use Z Brush. Below is an Ice Warrior exported and rendered in Cinema 4D. 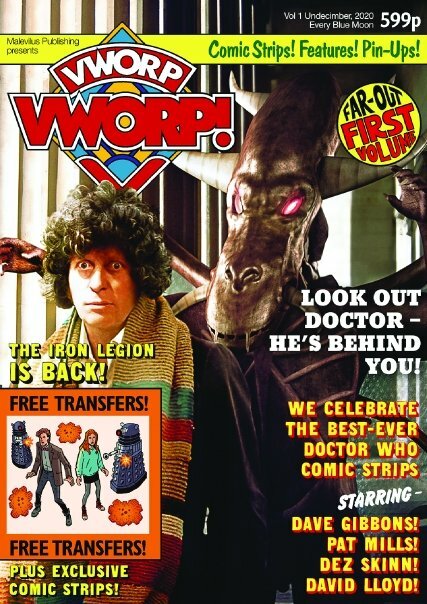 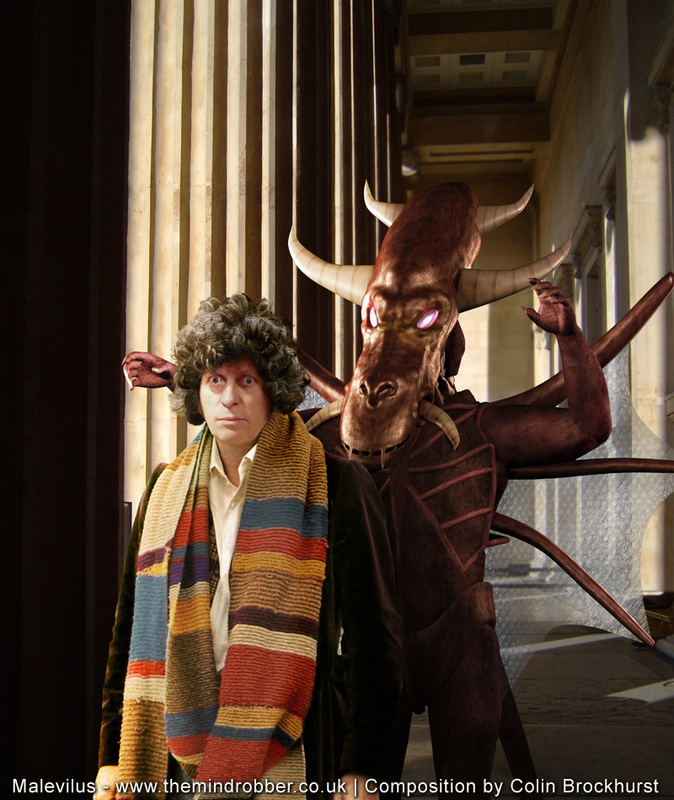 I created the Malevilus for the amazing Vworp Vworp tribute to Doctor Who Weekly, in which was the brief was to create a monster which looked deliberately cheap, as if it might have been made on a Graham Williams budget. The design was planned as a costume, worn over a human figure, and the image above left show a supposed cross-section of the costume to illustrate where the actor's head goes and where the nose of the monster has to have transparent areas for him to see through. 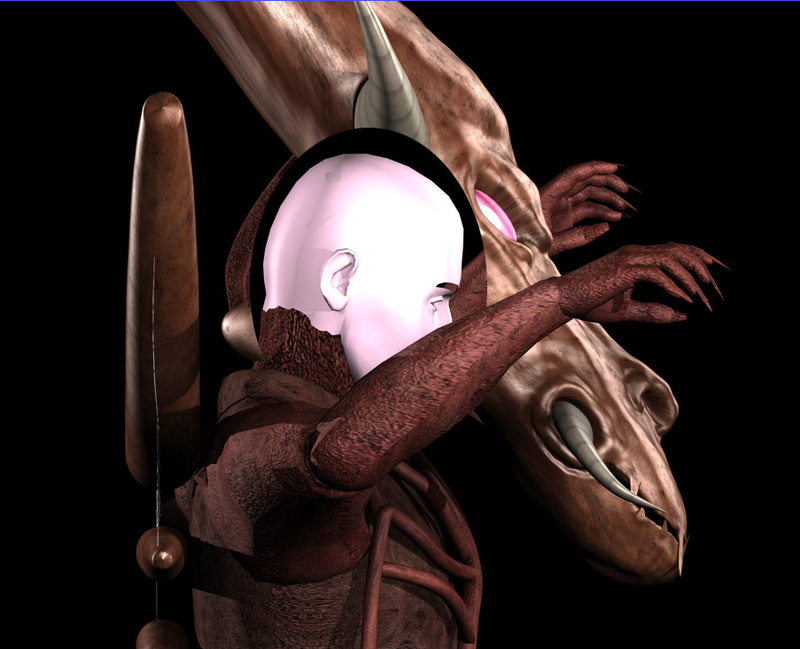 The head was done in Z Brush and the rest in Cinema 4D.